There is a worldwide heightening of spiritual awareness. As conduits of Source energy, we must seek to nurture the growing awareness of the Soul’s presence in the life of the Self and to assist others towards this evolutionary impulse to higher self-mastery in connection with the whole of life. As each member of the human family is birthed into awareness and at-one-ment with their own Soul, a unified link to the Soul of humanity occurs. A synthesis in union permits the sense of collective group life to steadily grow in importance with the consciousness in the Evolving Age of Humanity. The series of linkages in the alignment and integration process of individualization plants the seeds to exteriorize the Soul focus of humanity within the realm of Nature where Soul bonding actually occurs. The Soul is the vehicle for consciousness that can be perceived as “Love in Action.” The more conscious we become, the more loving we are. The more loving we become, the more conscious we are. Love is consciousness and consciousness is love. At the most evolved state, when the Soul’s presence enters the sphere of the personality, a distinct quality of love is expressed. The intuition of a Soul infused personality can thus sustain a vision of the wholeness of life and perform individual tasks while taking the well-being of the whole into account at the same time. When intuition at the level of the Soul is properly fused, a wonderful alchemy takes place and we become aware of the needs of others and are supportive of those needs relative to our talents and abilities. Such linkage between heart and intuition enables us to see between two points, from beginning to end, and the probable pathways that life energy may take in life’s circumstances. By aligning the heart, the center of love and linking it with the center of intuition at the Heart’s Eye, the perception into the collective purpose of humanity, as well as our own contribution to the whole is revealed. Otherwise, the perception of love into action is blocked. The cultivation and integration of intuition, the faculty of inner vision, allows us to see life as energy that lends understanding between the relationship of energy and form. It has been said that matter is Spirit at its lowest point of manifestation and Spirit is matter at its highest. Taken as a whole, the Soul is the intermediary between Essence and material manifestation—Spirit and Matter. As the middle way, the Soul provides the necessary channels through which consciousness may exteriorize and come to know itself as Divinity in manifestation. The grace of this knowing comes to each of us through the frequently painful processes of transformation and reorientation, as well as through many births and rebirths, to the final realization that the quality of our consciousness is Love itself. While a Soul infused personality is the ideal because it dissolves basic human duality, most of us enter the world and get mired in the social conditioning of the times. Dualistic identities are based on externals that we are afraid to let go of and we grasp, attaching to myriad things. Grasping keeps us in a cycle of NO change until something forces us to look within. Pain in some form is usually the provocateur that forces a series of both inner deaths and inner connections before we are ever able to contemplate self-realization. Recognizing our connection within the larger path of unfoldment and achieving varying degrees of Soul awareness usually does not occur in a day, although all things are possible with Spirit, an open mind and a loving heart produces miracles. Imagine the self as a stone, rough, unpolished and unconscious of its inner beauty. We have to work on bringing it to surface—so we facet it, pressurize it with consciousness and eventually transform it into a magnificent jewel. The aspiration to cultivate our character will reveal an inner-diamond, which is relative to our consistency of refinement. How brightly it shines, how magnetic it is, how powerful and admired by others through example is up to us. However, if we should reach the peak of our personality expression, the Soul makes itself known and sends impulses for us to place our cultivated jewel under the direction of its influence. Such influence comes with a price, as the higher force demands a ransom—the sacrifice of the ego for the life of a Soul infused personality. At this point if there is a wager and the lower self does not attune to the Higher Self, a danger in the misuse of personal power corrupts, thereby substituting emotional glamour and mirage in the place of foundational reality. Recognition-Polarization-Tension-Consciousness-Synthesis-Fusion-Resolution, with a repeating cycle. 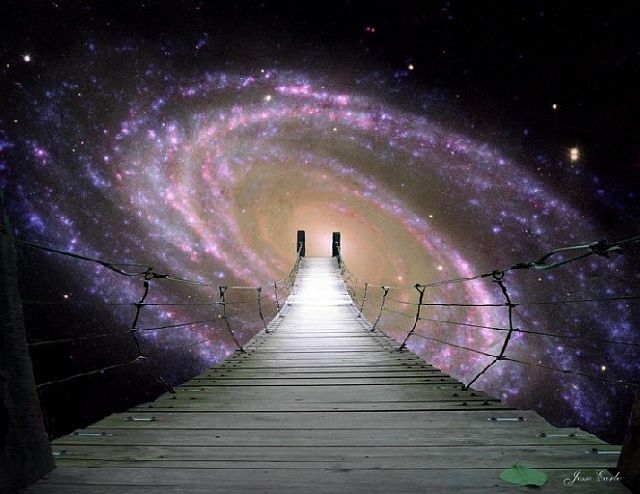 Many of us who seek the inner meaning of our lives are already aware of such patterns and consciously build from mental substance on the imaginal realms to form the path to the alignment between our lower and higher selves – to bridge the gaps in consciousness. The Soul is our regenerative link to the essential substance of the Creative Source. In order to harmonize the energies of the Soul we must go through various deaths or transformations in releasing our resistance to the Light of Love. For instance, at the point of integration, we are tested to either carry on with our old ego-patterns of subverting and perverting universal energies to the bidding of personal physical aims, thoughts and desires or to align with the greater Law and greater expression of the cohesive power of Love. This balance and attunement is an essential process that is the core of the spiritual path for opening the heart and its cohering expression into practical life. Our crisis of reorientation to the Soul continues to reveal to us the nature of this path as well as our place within it. This causes us to question both the direction and the form of our true purpose. We construct the Bridge to expand and develop consciousness. It is the link or silver/crystal cord between the formed and the formless—the lower mind and higher mind; the personal emotional body and the intuition; the personal will and the greater will of the Higher Self; and the will of the Soul with the Will of Source Creation. The first major step in attuning ourselves to the Higher Self is to create congruency or alignment between the body, emotions and mind. This means psychologically taming and training the impulses of the lower self into right use of will. This may be accomplished by grounding Nature, through detoxification, proper diet and exercise, balancing of the energy or etheric body, affirming healthy boundaries in loving self and others, kind words and actions, creative imagination and the disciplined use of mental energy applied in a focused and meaningful way. If an alignment between the mental, emotional and physical bodies cannot be made, the unintegrated personality brings chaos through the loss of energy, vitality and a sense of self disintegrates. For instance, our mental states may tell us one thing, our words may invoke another, as our desires urge us in still another direction, while our physical bodies are magnetized upon another area of expression. The misalignment between what we think, feel, say and do is full of holes that creates a vortex of negatively polarized or inverted energy patterns that magnetizes chaos into our lives, which inhibits the flowering of our spiritual life. Such fragmentation is greatly rooted in fear from our social conditioning and planetary biological inheritance. Etheric bridging of the gaps is the net result in the movement of consciousness – the mass interlinking of cohered energy for co-creation. It bridges the gap in isolation that is anti-nature. Just as we build our physical bodies from nutritive food substances in the material environment, we build the etheric Bridge that links together the mental, emotional and physical bodies of the personality with the three vehicles of the Soul (the Higher mind, Intuition and Spiritual Will) to facilitate the flow of consciousness between the physical brain and those impressions coming from the higher realms. The flowing channel of communication from Soul interface with personality induces a heightened awareness of life that brings an absence of fear or loss in the immersion with greater Spiritual realities. Heightened awareness is gained by integrating personality orientation with the life-urge of the Soul. It is a great gift with equally great responsibility. For as consciousness grows and unfolds, so does the nature of the work we have before us. The powers of attraction from life on other dimensions either support or thwart our purpose. Our task then becomes how to define and refine the expression of our life’s purpose. With loving non-attachment to most situations in life, we can become a vehicle for healing and unification without getting involved with the complexities of personal relationships and emotional stories – the reel of inertia. Feeling empathy, but without attachment or compulsion frees us to love and be loved in a very real sense. It opens our hearts to reverence for life. Humanity, all sentient life and the planetary body are in dire need of this sovereign love.